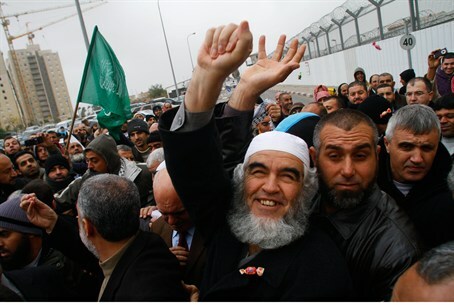 Salah is the leader of the Northern Branch of the Islamic Movement and has been arrested and jailed several times for incitement at the Temple Mount. He preached across from a former Muslim mosque in Be’er Sheva, where the unused facility has been converted into a museum but which several Muslims now want restored as a mosque. The High Court has rejected the demand. Be’er Sheva and the surrounding area is a hotbed for radical Muslims, encouraged by the surging Bedouin population as the result of polygamy, outlawed in Israel but allowed for Bedouin as a “religious tradition.” Thousands of women who marry Bedouin men are from Gaza, Judea and Samaria and even from Arab countries, particularly Jordan. Hamas has a stronghold in the adjacent Bedouin neighborhood of Tel Sheva, where police avoid entering out of fear of violence. Salah claimed that Israel has destroyed the unlikely number of 1,200 mosques since the War for Independence in 1948 and has converted many mosques into restaurants. He alleged that some of them are used to serve wine, prohibited by Islam, and that others host dances.